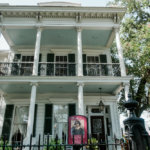 Travel back through time with us to learn the history of this iconic New Orleans name. How a city gets its electric power isn’t usually of interest to visitors, unless you’re heading out to see the Hoover Dam in Nevada. 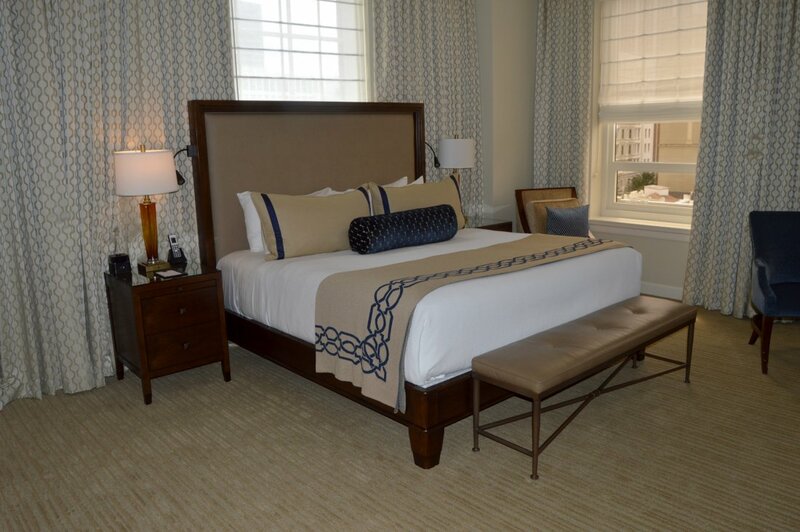 What is interesting, however, is the origins of downtown “conversion,” or “boutique” hotels. Old buildings no longer in use in a downtown area, say an old bank branch, or a small shoe factory, are prime targets for renovation in re-purposing. In New Orleans, an array of office buildings in the older section of the Central Business District (CBD) became hotels. The latest of these hotels is the “NOPSI Hotel,” a 1920s landmark at 317 Baronne Street. NOPSI? What’s that, you say? It’s the old name of the light company, dawlin’! Here’s the back story. In the 1700s, city ordinances required folks walking the streets at night to carry lanterns. Home and business owners lit oil lamps on the exterior of their buildings. That light spilled onto the streets. The combination of personal lanterns and building lighting illuminated busy parts of the city. But there were gaps in the coverage. In 1792, Governor Carondelet ordered eighty street lamps for the then Spanish colony. Gas lighting came to New Orleans in 1824, when James Caldwell lit up his American Theater with gas lanterns. Gas lighting spread throughout the city and remained the main street lighting source until the 1880s. Things moved rapidly at that point. Electrical generation companies built power plants. They ran wires to Canal Street and hung arc lamps from huge towers. These “moon towers” illuminated blocks at a time. Towers appeared on Canal Street, then in the CBD. Those towers were multipurpose. 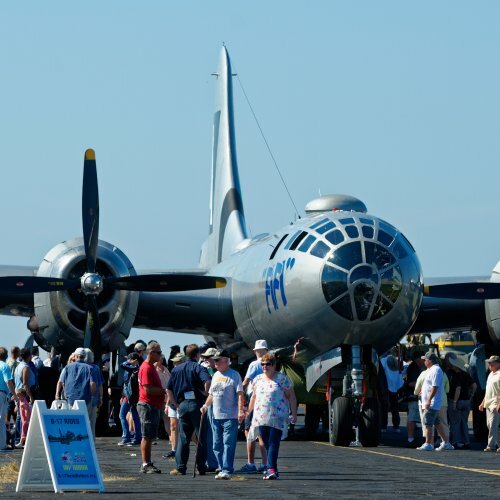 They held arc lamps, but also carried transmission lines for electricity and telephones. While the towers were practical, they were also ugly, big metal structures looking down over the city. The aesthetic of the towers forced the city to change from arc lighting to incandescent lighting, using Edison’s light bulbs. Another reason the “moon towers” lost out to smaller lamp posts was because of streetcars. The city’s streetcar operators used mules to pull the cars. 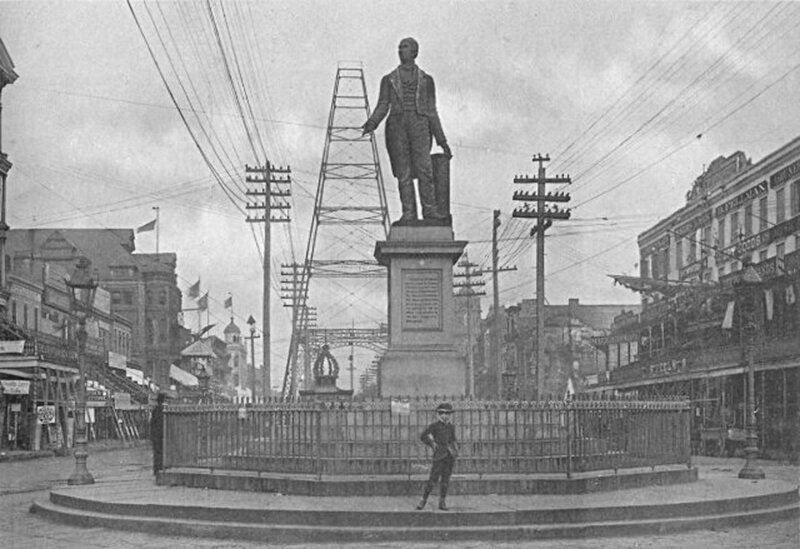 The New Orleans and Carrollton Railroad Company (NO&CRR) installed electric poles on the Carrollton line in 1892. They operated “single truck” (one set of wheels) streetcars. Electric streetcars were a success. NO&CRR expanded electric streetcars to the St. Charles line in 1893. The New Orleans Traction Company electrified the Canal line in 1894. A byproduct of electric streetcars was that the operating companies expanded the wiring system. They brought electricity into the neighborhoods serviced by the streetcars. While we cannot imagine a life today without electricity in the home, this was all a novelty to the average New Orleans family in the 1890s. The streetcar companies spent a great deal of money on electricity. They had a hard time recovering their costs. They couldn’t raise transit fares to pay for the new development. Homeowners didn’t make enough money to pay high electric bills, and the companies fell on hard financial times. The city forced several into bankruptcy. By the early 1900s, city government stepped in. It formed the New Orleans Railway and Light Company in 1905. Streetcars were the big users of electric power. When streetcar operations re-organized, there were 191 miles of streetcar tracks in the city. 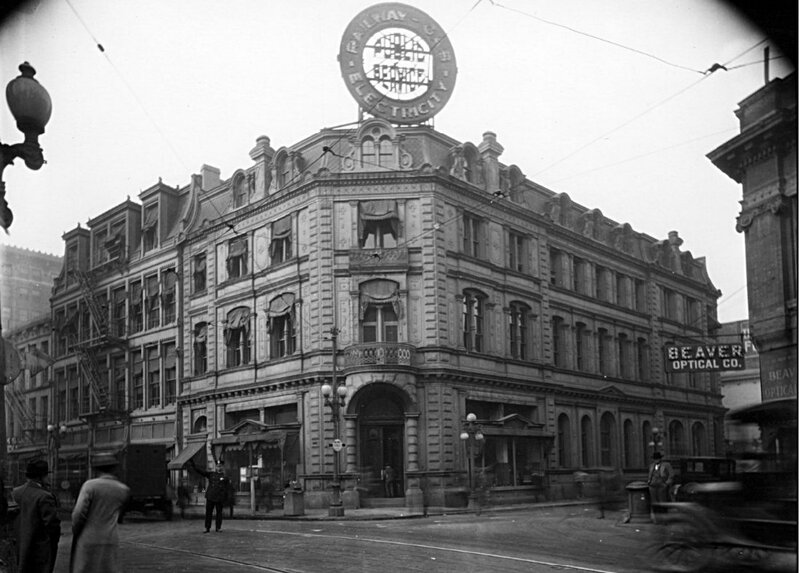 The headquarters of New Orleans Railway and Light was at the corner of Baronne and Common Streets. In February of 1922, a fire devastated this building, and the company moved to the 400 block of Baronne. The 1905 reorganization didn’t fix the financial problems. Another re-structuring was required. In August 1922, the city authorized the creation of New Orleans Public Service, Incorporated. This new corporation absorbed all electric power plants and streetcar lines. In September of 1922, NOPSI merged into the Electric Bond and Share Company (EBASCO), of New York. EBASCO was a subsidiary of General Electric. The new company acquired electric companies in the South. NOPSI embarked on a comprehensive consolidation effort from 1922 to 1926. In 1925, EBASCO created the Electric Power and Light Corporation. It became the holding company for NOPSI, Louisiana Power and Light, Mississippi Power and Light, and Arkansas Power and Light. 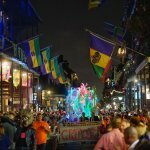 Electric Power and Light set up shop in New Orleans. In 1927, NOPSI built a nine-story building at 317 Baronne St., for itself and Electric Power and Light. In 1949, Congress forced General Electric to break up EBASCO. The individual power companies were now independent. The power companies held by Electric Power and Light Corporation were ruled to be a single system. So, that system became Middle South Utilities. The company’s offices remained on Baronne St. until 1983. Middle South Utilities constructed a new building, at the corner of Loyola Ave. and Poydras St. Even though the power company’s name changed two decades ago, the NOPSI brand is still strong in the city. 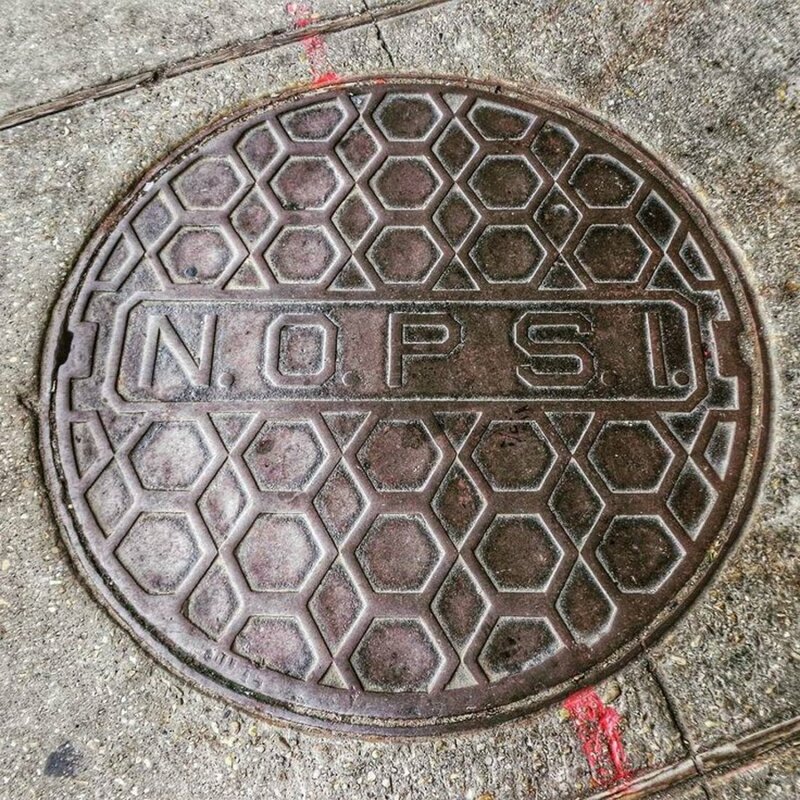 While they are not as well-known as the iconic water meters from the New Orleans Sewage and Water Board, NOPSI’s manhole covers can be found all over town. Public transit was an important part of NOPSI’s business, but it wasn’t profitable. Building the electric infrastructure wasn’t cheap, and the riding public insisted fares remain low. City government agreed, and this complicated NOPSI’s finances. During NOPSI’s initial years, 1922-1926, the company studied streetcar and bus routes, making significant changes. NOPSI converted streetcar lines to buses. While the War Department stopped the company from adding more buses during World War II, NOPSI picked right back up in 1945. West End, Magazine, and Napoleon Streets became bus service in 1948. 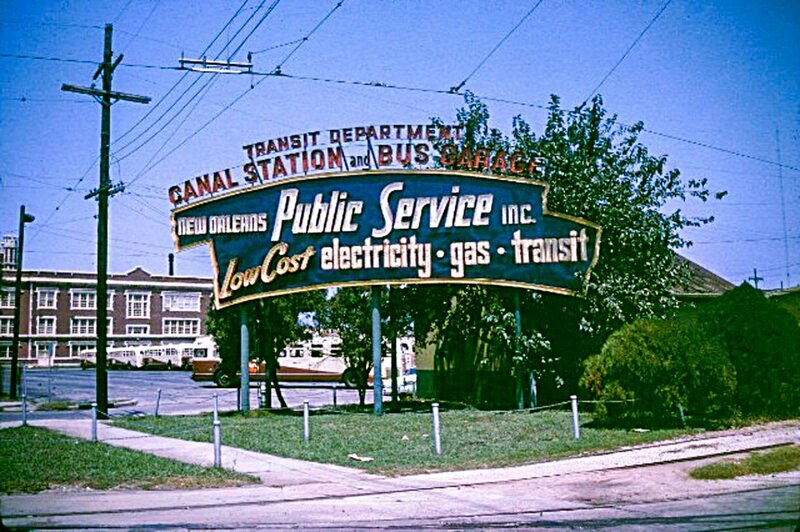 By 1953, with the conversion of S. Claiborne and Napoleon, streetcars only operated on St. Charles Avenue, and Canal Street converted to buses in 1964. The St. Charles line was then the only NOPSI-operated streetcar service. NOPSI regularly pressured city government for fare increases. At the same time, the company looked to sell or separate transit operations from electric/gas service. In 1983, the Louisiana Legislature created the New Orleans Regional Transit Authority (NORTA). NOPSI transferred New Orleans’ transit system to the newly-created entity. 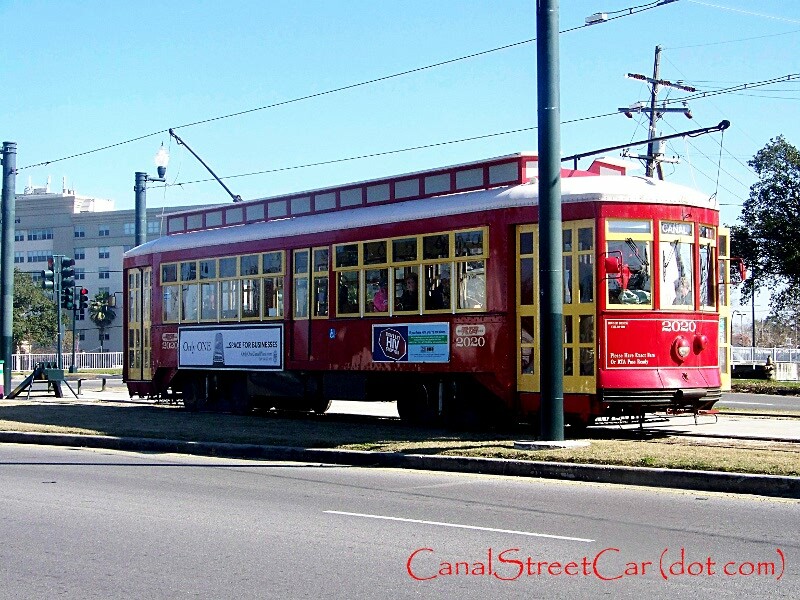 NORTA has since expanded streetcar operations in New Orleans. The authority opened the Riverfront line in 1988 and returned streetcars to Canal Street in 2004. The Loyola-UPT line opened in 2013 and was expanded in 2016. It’s now the Rampart-St. Claude line. The New Orleans Public Service Building at 317 Baronne St. was a gem when it opened in 1927. The building’s lobby resembled that of a bank. There were several glass-topped counters where customers could come in and fill out transaction slips to pay their bills. NOPSI clerks at teller-style windows collected those payments. 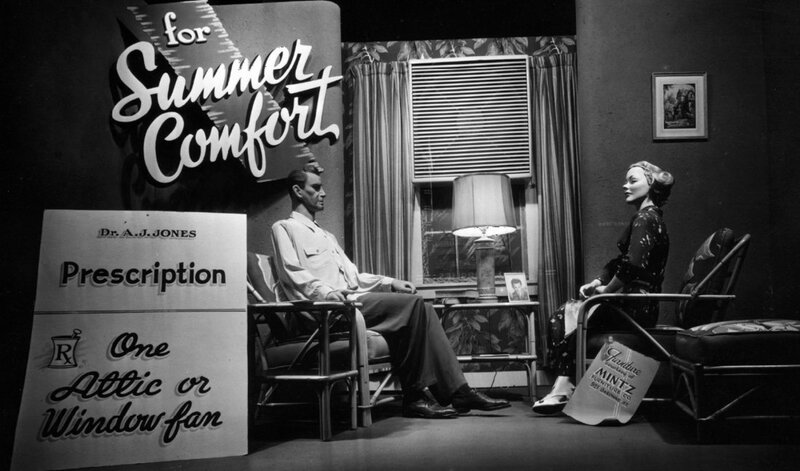 Customers viewed displays of modern electrical appliances that the company even offered to help finance. While management of most of the bus and rail system happened in the streetcar barns spread out across town, other departments worked on Baronne St. NOPSI’s parent company, Middle South Utilities, also operated out of the Baronne St. building’s upper floors. The NOPSI Building was incredibly under-used from 1983 when the company moved to Loyola Ave. The building was converted to a hotel by developers Building and Land Technology in 2016. NOPSI Hotel opened its doors in the summer of 2017. In addition to the nine-story building, the hotel incorporates the 4000-sq. ft. Dryades Building right behind it. The Dryades Building is the hotel’s ballroom. The hotel features a rooftop pool, as well as Above the Grid, the rooftop bar that’s open to the public from 4 p.m. to midnight. 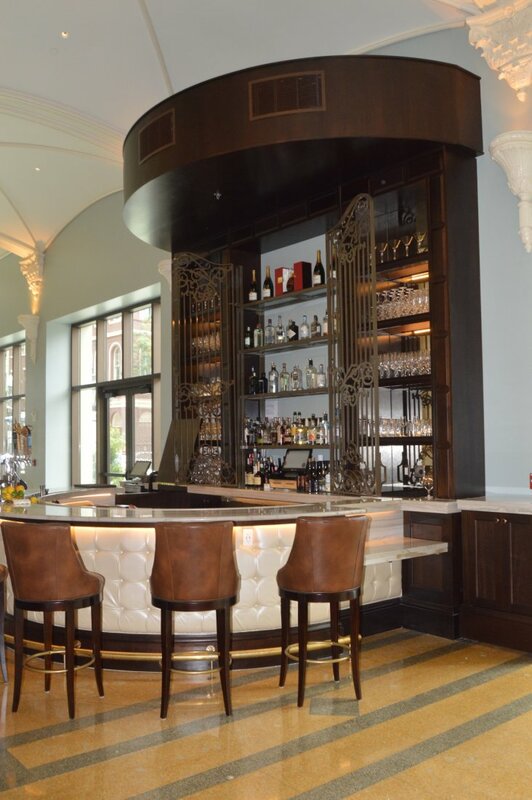 The hotel restaurant, Public Service, offers creative takes on New Orleans cuisine for breakfast, brunch, lunch, and dinner. underCURRENT and Above the Grid also offer small plates and snacks. It’s great to kick back at one of the tables there, and think about all the hustle-bustle of the past that kept New Orleans lit up and moving. 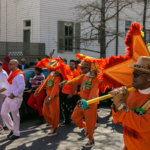 Author of five books on the history of New Orleans, Edward Branley is a graduate of Brother Martin High School and the University of New Orleans. Edward writes, teaches, and does speaking engagements on local history to groups in and around New Orleans. His urban fantasy novel, "Hidden Talents," is available online and in bookstores. 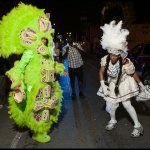 Find him on Twitter and Facebook, @NOLAHistoryGuy.